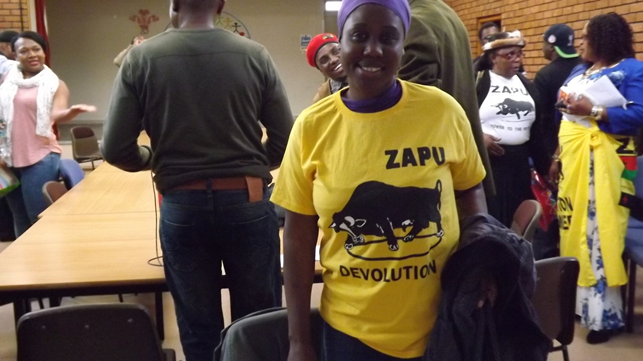 Youth and members of our Great Party ZAPU. What an honour it has been and I trace my journey back to where I started as Chair of this Province. Heady days indeed, when in a period of a mere 10 months we saw the membership base rocket from just under a hundred to around 900! As they say, the end of a chapter is the beginning of a new one. Today we formally thank the outgoing PEC led most ably by one of the most disciplined and principled cadres I have had the honour and pleasure to work with. A member whose clear vision brought respect and dignity to us all. A true reflection of the high standards of truthfulness, self-sacrifice gave a glimpse of why our trained freedom fighters were held in such honour. If there is a fault in our Party, it is that we do not appreciate dedication, we do not say "thank you" often enough, sincerely enough. Today, Comrade Maphosa, I salute you, I raise your standard high and I invite all of us here present to do the same. Qhawe lama qhawe. Inkunzi eyakhethwa ematholeni sibili. I do hope that members will have the vision to ask you soon to take up another mission. And if I know you well, when duty calls again, you will stand up. You will never be found wanting. Now to usher in the new. It is indeed an honour to be ushering in the new PEC that will, no doubt be most ably led by our Chair elect, Comrade Molife. He comes on on the back of a most visionary prospectus indeed. As the saying goes, his will be the task to see a much further afield as he will be standing on shoulders of giants. The Party expects, ZAPU expects. One thing I learned from very early leadership is that the easiest thing for people of little or no vision is to criticise. It's so easy to find reasons for why things are not working or cannot work. Anyone can write a PhD thesis on that. My greatest respect is not for such. I want to see people that make things work, every little effort counts. Leaders are quick to appreciate, to applaud and less inclined to condemn. They are too busy doing things to concern themselves with weaknesses; except when guarding against such weaknesses is their duty. If former Secretary for Mobilisation, Comrade Beke Dube, were here, I am sure he would vouch for this; I would be on the phone to him every two or three days, kept him on his toes to ensure that there were always initiatives to mobilise. It was not to criticise but to exhort towards greater effort. Now to focus on the main task at hand. As the executive officer and political head of the Party it is my role to give a few pointers to newly elected structures. The first piece of advice to all is: read the constitution. Know your roles and if not certain, where to find information. I have, on many occasions been astounded at the many mistakes members in leadership make, simply because they do not bother to find out what is expected of them. Reminds me of one of my former managers, the damage he caused to company property..
Every time a new machine arrived, he would just plug it. No reference to instructions. Only when everything went up in smoke would he suddenly start to read the instructions. 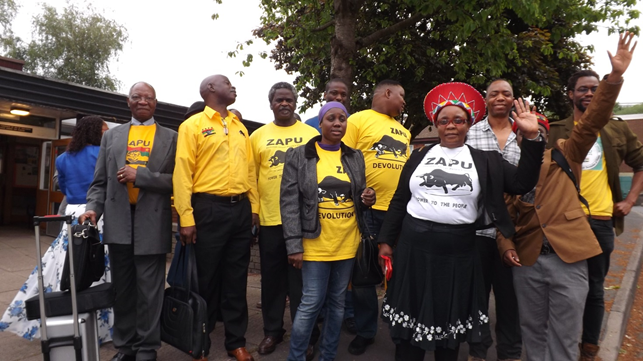 ZAPU liberates all to act. But not in any chaotic manner. My inaugural address to the NEC in Gweru in April 2011 was to emphasise the importance of communication. Communication, communication, communication. Just a straw poll here: how many know about the monthly schedule of meetings document? The branch cadre manual? The Party financial management structure? And yet without these we are going nowhere fast. I have, in the past, distributed to you all the governance structure of ZAPU. These are separate and distinct functions which must be completely independent of each other. The Executive, from the National Executive Council (NEC) down to the Branch Executive Council (BEC) has its role, the growth and management of the Party, its structures, its resources and its cohesion. The Council of Elders is the judiciary of the Party. A truly unenviable task but the Achilles heel of maintenance of order that is including all elective processes. The NPC are the legislators and should be knowledgeable about how the jigsaw fits together. The late Advocate Nkiwane and I spent many, many hours discussing the formidable nature of the way our Party is governed. There is no dysfunction but quite regularly malfunction. It is when the executive dons the mantle of the judiciary or the legislative that things fall apart. 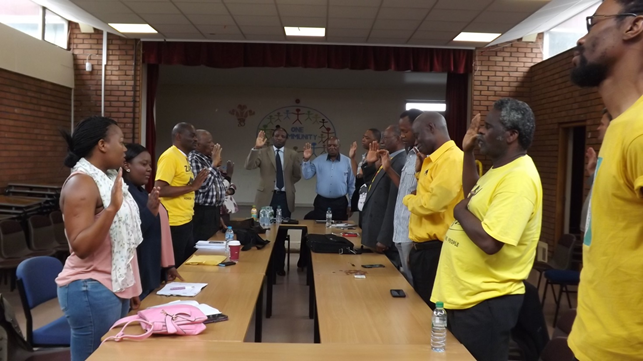 There is no one in ZAPU that cannot be disciplined, from President to the newest member. Much harm is done when the function of the CoE's is undermined or the Elders themselves prove spineless to act in the face of clear breaches. No progress is made when members simply look to the elected to be the only ones responsible for Party growth. ZAPU is you. ZAPU is me. It is for everyone to stand up when there is something to be done. Did you ever hear about the story of Everybody, Anybody and Nobody? Please find it and read it. Let me finish where I started. With gratitude to the Province that gave me the opportunity to serve. For me the vision remains the same. Any position in ZAPU is not about any individual seeking personal glory or recognition. The aim always is to make this great Party, great again.